Why did Rudy Giuliani basically forego all prior Republican primary elections thus far this year and place all of his eggs in the Florida primary election basket? First, he never got on track after his abysmal showings in the Iowa Caucus (last place with 3% of the vote), Wyoming (0%), and then the New Hampshire Primary (4th place with 9% of the vote and in a virtual tie with Ron Paul). Michigan was not contested by Giuliani because it was Mitt Romney’s birth state. Second, Giuliani is attacking Florida with gusto because Florida is home to retirees and refugees from the northeast (Giuliani is the former Mayor of New York City), many of which are the 3 million voters from that region aged 65 or older. The Florida Republican primary, scheduled for Tuesday, January 29th, awards a winner-take-all 57 delegates to the winner. Florida is thus far in this early primary election season the most diverse demographic state of which Hispanics represent 20% of the population and Blacks 16%. Florida is suffering in the pocketbook also. It was hit as hard as California in the housing market slump – the condo glut, mortgage fraud, high foreclosure rates and increased insurance premiums – so change is on the minds of people. So, who will Republican voters choose? The social conservatives and religious right may opt for Huckabee; military veterans – no matter from where they once hailed – may choose McCain. Giuliani is riding the 9/11 catastrophe it seems, being backed by Pat Robertson – often at odds with Giuliani over social issues – because of his anti-terrorist stance. Are voters tired of 9/11? Will voters associate Giuliani with President Bush who is experiencing the lowest approval rating of any recent United States President? In the latest CNN poll, McCain is leading Giuliani 26% to 22%. Huckabee and Romney follow with 17% and 16%, respectively. When Is The Florida Democratic Primary Election? When is the Florida Democratic Primary election, you ask? Well, there isn’t one. This year, the Democrats have punished Florida for going against Democratic party rules and moving the primary up to January 29th. 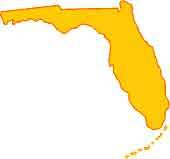 Florida moved it up so it would be a relevant voice in determining the next President of the United States. Party officials there believe that primaries scheduled after Super Tuesday are irrelevant because nominees for each party are typically decided and/or cemented on that day. For what it’s worth, Clinton holds a commanding lead over Obama in Florida, with the New York Senator leading the Illinois Senator 50% to 28%. Edwards, the former North Carolina Senator, is a distant 3rd at 13%. There are 25 total primaries on Super Tuesday of which there are 23 Republican primaries and 24 Democratic primaries.